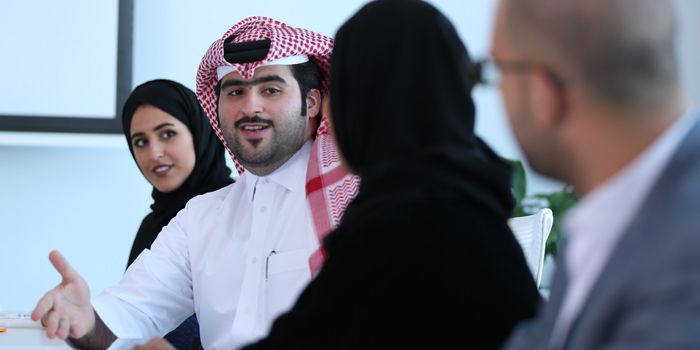 At QAPCO, we offer everything you’ll need for a challenging and rewarding career. Employees define our success. Through our forty years of operations, we have developed a workforce that epitomizes the social and economic development goals of Qatar as outlined in the Qatar National Vision 2030. QAPCO has been instrumental in developing the petrochemicals sector in Qatar, and in doing so creating highly skilled job opportunities that engage with Qatar’s booming energy and industry sector. QAPCO has a proud legacy as an employer of choice. We celebrate the diversity of our workforce and provide meaningful opportunities for Qataris to grow and learn about the exciting field of polymers and industry. Our aim is to foster a culture that attracts, retains, and develops talented people. Retaining leaders who care, and who inspire their team members, offering continuous learning and development opportunities in a work environment that embraces diversity creates value for the members of the QAPCO family and for the organization. 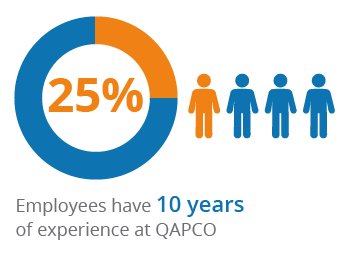 More than 25% of our employees have ten years of experience at QAPCO, a clear indicator of our success in retaining employees by providing challenging and rewarding employment opportunities. Interested in a career at QAPCO?